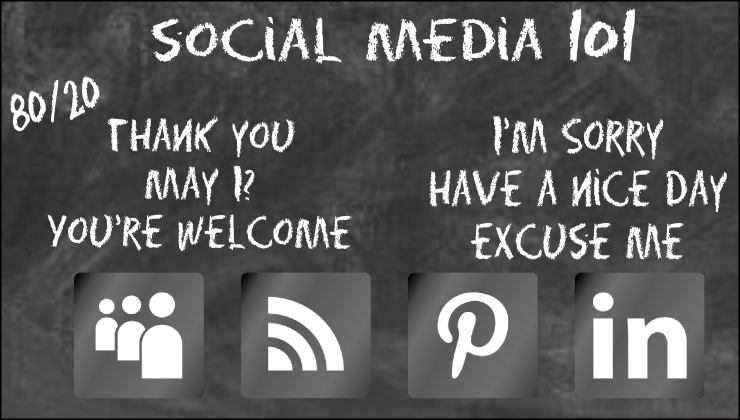 Social Media Etiquette | Wach Marketing Inc. Even though the founder of Barnum and Bailey’s Circus passed away long before the advent of social media, Mr. Barnum’s attitude towards courteousness should permeate in the fore-thoughts of every company’s social media posts. If you wouldn’t say it in front of your mother don’t post it. Virtually anyone can access your company’s social media profile including your mother. While you might be too old to have soap shoved in your mouth, you’re not too old to become unemployed like the agency handling social media for Chrysler Automotive Group who slipped a four letter word into one of Chrysler’s tweets. Needless to say, the agency is no longer employed by Chrysler and the tweet has been deleted. If you didn’t catch the original story you can read more about it here. Respond to all of the comments, even the bad ones. At the heart of social media, is the human connection. Nine times out of ten, people are trying to connect with your business through social media because they want to express genuine gratitude or they have an issue with the fundamental way their business is or was being handled. Either way, people want their opinions acknowledged online just as they would in person and ignoring them will often make things worse. Never Re-Post Without Permission. Give credit where credit is due. Re-posting other people’s content as your own can be illegal without proper acknowledgement. Make sure to ask first or check for the author’s publishing license parameters before you make a mistake that could potentially spiral out of control and cost your business its credibility. Remember Pareto’s 80-20 Principle. Pareto’s 80-20 rule explains the general imbalance between inputs and outputs. The Italian Economist Vilfredo Pareto concluded 80% of most occurrences(output) in life result from 20% of the effort invested(input) in them. This general rule of thumb is applied across a variety of business practices today and a great way to gain and maintain your followers in the social media world. By focusing 80% of your social media efforts towards engaging, informing, and entertaining your followers and 20% of your social media efforts towards company branding, sales, or specials, your company’s 20% of social media efforts have a much better chance of being paid attention. « Is Radio is Still a Powerful Medium?